Intercom.FM is a great way share your music using your personality. You can download it HERE (currently for iPhones/iPads only). You may have noticed Tim Pyles using this format- which pushes out to Twitter and Facebook- to read my show listings a while back. We all know there are a lot of tools and websites to get your name out there, but this seems like a great way to connect and show your personality and bring fans along with what you are doing on the road, in the studio or whatever you’re working on, with short clips of actual audio. 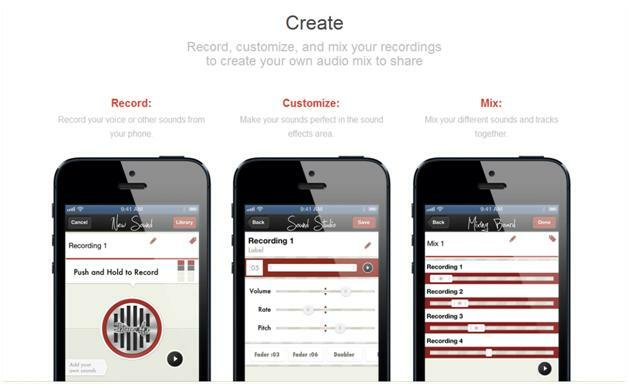 • You can MIX your sounds with a personal audio message right from the in app Mix board. In the next week I’m going to grab some cool band clips from the app to show you some examples. Let me hear what you mix using Intercom.fm and I’ll feature it here.